The song, ‘God’s Own Fool’ by Michael Card, came immediately to mind when I read Mr. Naisbitt’s insight of the Mormon god. How sad of a life Naisbitt must have lived, and those he imposed upon with his falsehoods. Mormonism today still carries the torch of this outlandish philosophy. They work so hard, and get nowhere fast in believing Joe Smith’s lies. My mother’s hamster wheel of needless worry spins faster than what she can keep up with most days. One has to wonder what their god thinks of people like the young man at my local grocery store. ‘Mike’ is probably in his early 30’s. He talks a lot, and only speaks to himself in hushed whispers. No one knows what he says, but he’s eager to help at a moment’s notice to carry groceries, sweep floors, and even scrub toilets. When he bags your groceries he’ll never put more than two items in each bag, so when you get home you might find a loaf of bread in with the oversized bag of dog food. And it’s really okay! Would it be okay with the Mormon god? When customers see ‘Mike’, I pray they see what I do, and that’s God. 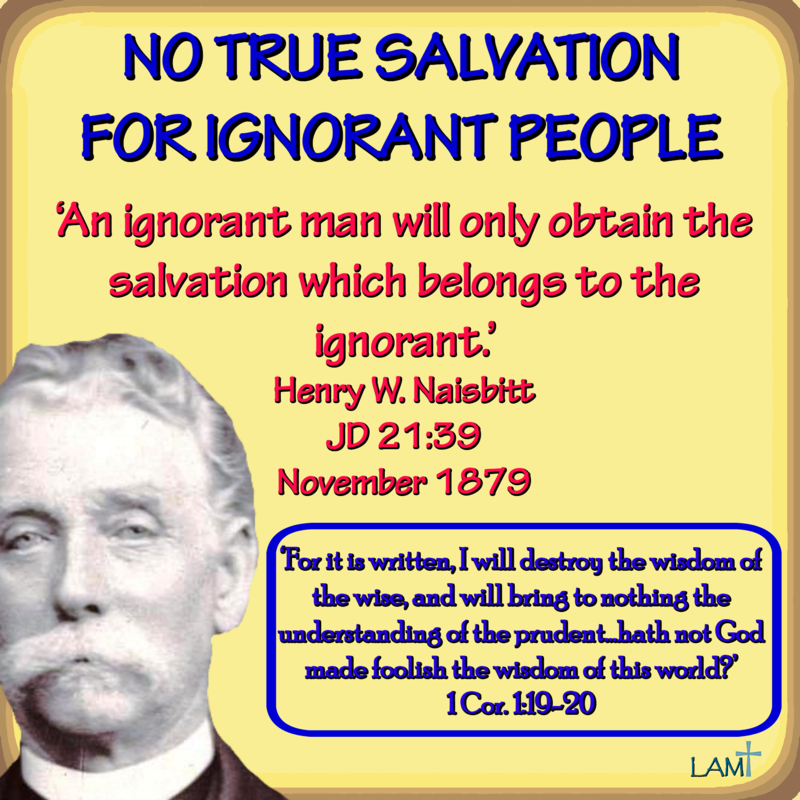 Where is the imaginary bar of how much knowledge is sufficient to get into the highest Mormon heaven? Who determined its height? Could anyone really jump that high? ← Life’s Short, Marry Early!